The services offered by the current banking industry fail to meet the needs and timeliness of the execution of functions demanded by market participants. The solution we are presenting is a digitally based bank that is available 24/7 and able to offer custodial and fund management services to clients. Trust is of vital importance to us. That is why INGOT Coin will obtain a financial banking license from a reputable, strict regulator to ensure safe and smooth execution of transactions. Once obtained, the IC Community will be able to enjoy a legally compliant entry and exist point to the crypto markets as well as a safe place to store and manage their personal funds through an internationally recognized, licensed institution. The IC Digital Bank will offer a broad range of services including a current account acting as a fiat wallet to enable users to transact within the Ecosystem or outside of it. In addition to the current account, the Bank will provide e-payment solutions with low associated costs while including quick and efficient reporting. Moreover, the Bank will provide debit cards for all current account holders to be used for making purchases. The debit cards will have access to the IC Wallets and the current account of IC’s Digital Bank. The clients will have a choice of method of payment whereas the receiver, if they were to be part of the Ecosystem, will have the choice of currency to receive (e.g. fiat or crypto). All e-payments and debit card transactions will be subject to a double verification process. This will allow clients to be able to pay online and in stores using their own cards. The cards of the Ecosystem will provide the option to make payments through the IC Digital Bank account, IC Wallet, or the IC Brokerage Account. The double verification process occurs during the transaction as the buyer will receive a confirmation message on their smartphone. If no response is made within a predetermined time frame, the transaction will be cancelled. The double verification process will authorize the Ecosystem to debit or credit the specified amount of the specified instrument from the respective account, only after that occurs will the fund transfer be allowed. If the funds being received are in a different currency or a different asset class, the system will automatically revert the method of payment from the buyer to the IC Exchange and trade it with an instant market order against the currency that the seller wants to receive. After the exchange is concluded, the transfer of funds to the seller will occur. In the case the client wants to pay using a specific cryptocurrency and the merchant wishes to receive the payment in USD, the Bank will automatically verify with the IC Wallet for the availability of crypto funds in the buyer’s IC Wallet through the general ledger records. Once there is a verification that funds are available, a smart contract will be initiated between the buyer and the Bank. The buyer then releases the crypto funds to the IC Exchange and an order is placed and once the order is concluded the smart contract will trigger the Bank to deposit the settled order amount in fiat in the user’s IC Bank account and hence allowing them to perform their settlement with the merchant without having to wait for the funds to be transferred from the IC Exchange to IC’s bank account. The bank will also offer managed accounts for clients who are looking to expand their portfolios. The details of these strategies will be tailored to the needs of the clients. This will depend on the risk tolerance and return objectives along with other factors such as the investment time frame and initial capital chosen by the client. 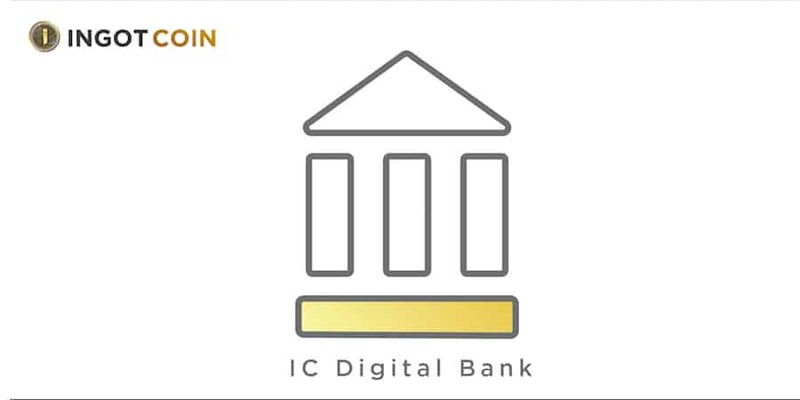 The IC Digital Bank is expected to be in business by the second quarter of 2019.